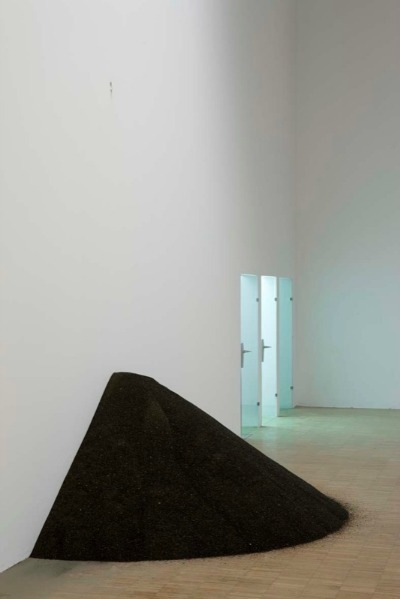 Walter De Maria, The New York Earth Room (1977): Long-term installation at 141 Wooster Street, New York City. 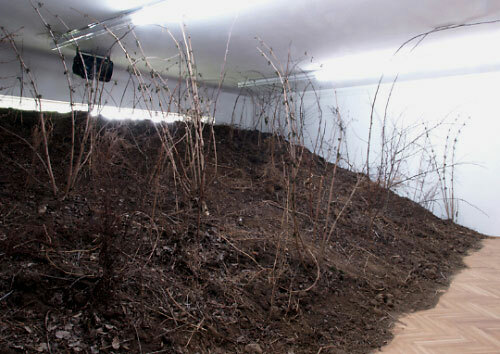 Yukinori Yanagi, Studies in American Art: Three Flags (2000): using colored soil, the Yanagi recreates Jasper Johns's Three Flags (1958) in the form of an ant farm. 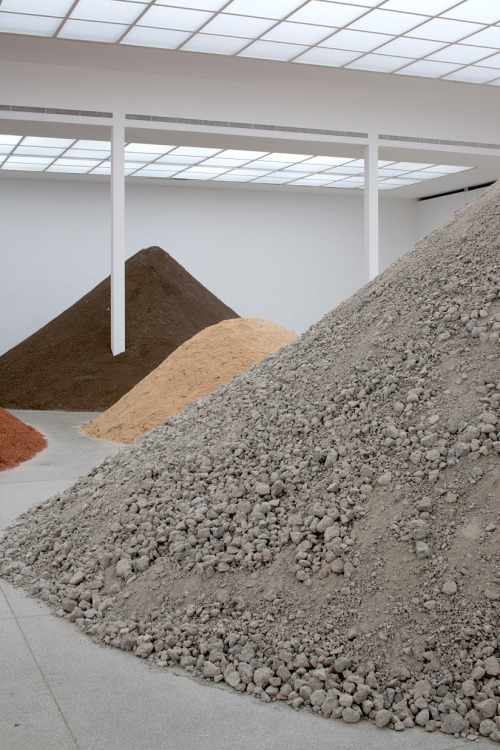 Mike Nelson, Triple Bluff Canyon (2004): sand. Kazuo Shiraga, Making a Work of Art with My Body (1955): mud, plaster, and the artist. 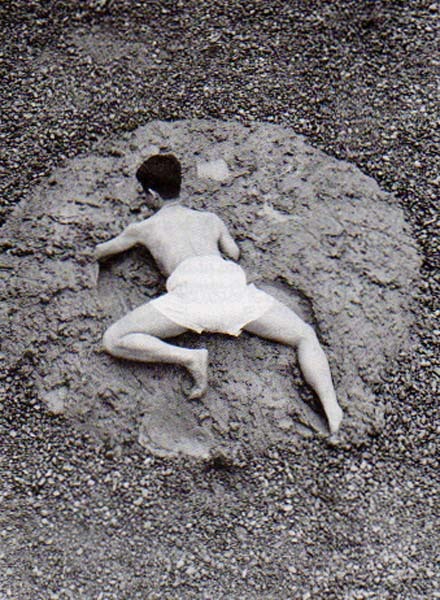 In The Gutai Manifesto, artist Jirō Yoshihara described Shiraga's actions as thus: "Shiraga placed a lump of paint on a huge peice of paper, and started to spread it around violently with his feet. For about the last two years art journalists have called this unprecedented method 'the Art of committing the whole self with the body.' Kuzuo Shiraga had not intention at all of making this strange method of creating a work of art public. He had merely found a method which enabled him to confront and unite the material he had chosen with his own spiritual dynamics. In doing so he achieved an extremely convincing level." - Jirō Yoshihara, "The Gutai Manifesto," Genijutsu Shincho (December 1956). Shiraga would wrestle with mud until overcome with physical exhaustion. 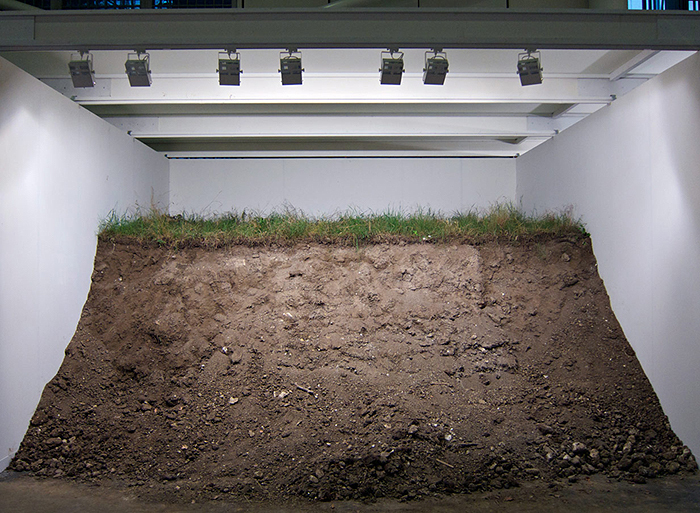 The mud was thought to posess a spirit of its own with which the artist had to do battle.